Today, online advertisers are constantly looking for new ways to advertise their products and services. Search Engine Optimization (SEO), Sponsored Search, Social Media and Affiliate Marketing are some tactics used by business owners to advertise their businesses, improve their visibility and increase conversions. One of the most popular techniques, paid searches, can be divided into several subtypes of advertising. Cost per Mille (CPM) and Cost per Click (CPC) are the two most popular types of paid searches. Understanding the key differences between the two can help a potential advertiser decide which method will work best for their needs. First, it is important to understand what paid search is. Simply put, it is a method of advertising for which a fee is paid. Paid searches allow advertisers to place ads that are highly visible without spending the time needed to naturally or organically obtaining first page results. Ads are typically placed at the top of search engine results pages or near related content such as articles, eZines and on social media sites. Paid searches are generally accepted as a fast way to get first page results. Many advertisers believe that it is a cost effective and an efficient way to increase traffic to their website. 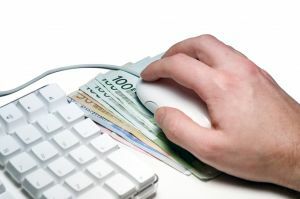 Under the Cost per Click model, payment is due for every ad that is ‘clicked.’ In other words, advertisers only pay when one of their ads leads a potential client directly to their website or landing page. The price for this service varies. In fact, one of the key benefits of advertising via PPC is the ability to bid for ad placements. This allows advertisers to customize their advertising budget as well as select the time and placement of their ads. Bidding for popular search terms can be aggressive, but by selecting unique and relevant words, advertisers can typically advertise for a relatively inexpensive amount per click. Cost per Mille is slightly different than PPC. Much like traditional advertising, the display of an ad (impression) is nothing more than a single appearance of an ad. Viewers are not required to take action, for example click the ad, in order for payment to be due. Banners or other advertisements are placed, according to the terms of a contract. Payment is typically based on a predetermined number of impressions, generally set at 1000, thus naming it Cost per Mille. (thousand) While advertisers are paying for each instance of the advertisement, it is generally less expensive than Cost per Click. Advertisers are drawn towards CPM because of the enormous amount of visibility it can bring; the ad is seen often even when the ad itself is not clicked. It is strongly believed that the ad is still read and that exposure counts over the long run. If the ad is attractive and grabs attention, the Click Through Rate (CTR) will be higher, thus generating even better results. Paid search can be a quick and effective method of advertising a business. Whether a business chooses Cost per Click or Cost per Impression is a choice that should be based on budget, objectives of the campaign and brand awareness factors. It is also important to remember that there is some evidence that some viewers dislike the appearance of paid ads; so remember that PPC or CPM is only part of a well-coordinated Internet Marketing Strategy that includes Search Engine Optimization (SEO) to generate organic listings and Social Media Optimization (SMO) to generate publicity and public relations. If you’re ready to start your own online marketing, our experts can guide you through the process, and manage your campaigns. Contact us for a no-obligation initial consultation.